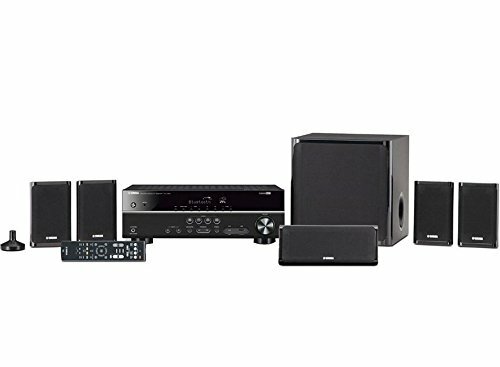 One of the best things you could treat your home with as part of a top-notch Black Friday Deal is getting your own theatre system. Just imagine having that amazing cinema experience whenever you want. All your favorite movies on a big screen, with a sound system that will blow you away. Or maybe just having a party, with awesome music blaring everywhere, in HD audio surround sound. Well, you can have all this, all you have to do is pick the right system. 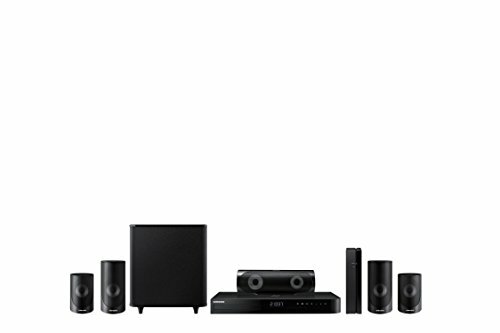 That’s why we have taken the liberty of compiling a short list of the best home theater systems on the market. DISCLAIMER: Sony STRDN 1080 isn’t really a Home Theater System, but its an AV Receiver that supports 7.2 Channel Dolby Atoms. We begin our article with the amazing Pioneer 5.1 system. 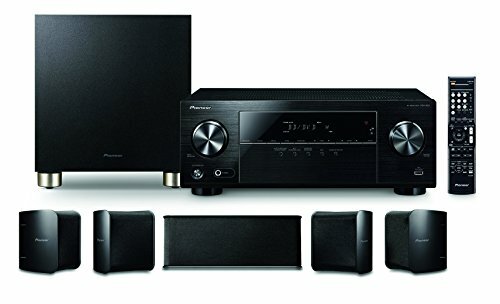 First, this bad boy comes with a 5.1 channel AV receiver that has 5 small speakers, as well as a hefty subwoofer. You can connect your laptop, Blu-ray or DV player with this system, and you are good to go. This is very easy to do since it has 4 HDMI inputs. Not only that, but it has Ultra HD pass through with HDCP 2.2. Furthermore, since it has built-in Bluetooth Tech, you can connect any device with Bluetooth Wireless Technology on it, to the theatre system. It supports SBC and AAC codecs and features A2DP profile. Furthermore, this system has ECO Mode, which has energy saving features. This mode gives you moderate sound quality but saves up on energy and durability. You can access this option by using the front panel (or via the remote control). Finally, it features an Advanced Sound Retriever, which restores output from any kind of compressed audio files (WMA, AAC, MP3), and brings to the level of CD sound. This theatre system is a solid choice for any person interested in this sort of thing. Its power output, (center being 250W, Surround 125W, front 125W, 250W) totals to a solid 1000W. Furthermore, it has a number of popular apps and services built in already. You have Wi-Fi, HuluPlus, Pandora and, of course, Netflix. You also get Full HD quality, with 1080p of quality. However, there is more. You can stream music from any device that has integrated Bluetooth. You also get a full range bass reflex speaker system, as well as a subwoofer measuring 7.1 inches. This system has the TV SideView feature, meaning that you can display any and all videos, pictures and music directly from your tablet or phone, and onto your television set. It also has an I/P noise reduction feature for your Blu-ray disc drive. This essentially eliminates playback noise, as well as protecting your system from dust and debris. 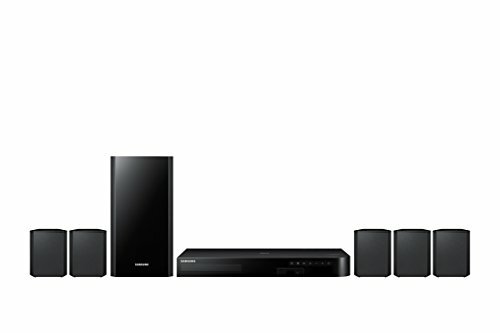 The Onkyo HT-S3800 has a range of great features that make it an outstanding home theatre system. First of all, it can decode Dolby TrueHD and DTH-HD audio. These formats give you an authentic and high-quality sound, so you know you will hear everything the way it is supposed to be heard. Not only that, but the HDMI terminals give you a ton of options. It can handle HDCP 2.2 copy protection, it has High Dynamic Range (HDR), and comes with BT. 2020 support. The HDMI allows for the sound coming from your TV to be processed through this home theatre system, and be released through the receiver, giving you a very high quality, cinematic surround sound. You get six speakers that give you the ultimate surround sound experience that can be set up anywhere, even smaller living rooms and dorm rooms. 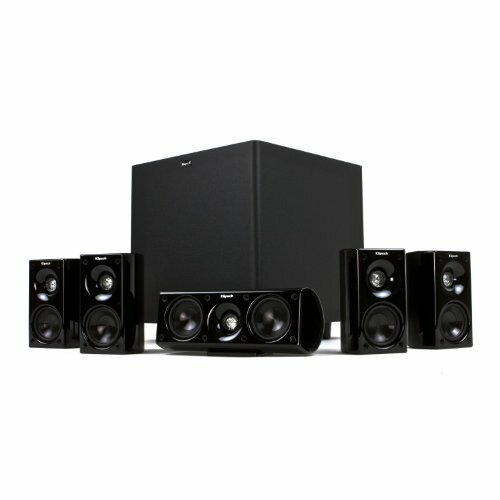 You get one center, one front left and one front right, as well as two surround speakers and a high-quality subwoofer. This fella has “top Black Friday Deal” written all over it! This bad boy comes with four surround sound (satellite) speakers, as well as having a center speaker in the same style, and finally, a very powerful subwoofer made from high-quality, fiber-composite materials. The sound you get is crisp and clear, no matter if its dialogue, music, explosions or fight scenes. But what makes this one really special is the special Klipsch Micro Tractrix horn that is attached to a three-quarter inch tweeter. This gives it amazing and increased output and makes the sound that much clearer. On the other hand, the subwoofer here is so good that you not only hear it, but you can feel it from across the room. The MDF cabinet has a special bass reflex design that essentially makes the bass even better. It also has a low-resonance design, make the sound you hear much clearer. This amazing theatre system has 5.1 channel surround sound that can provide you with the best possible experience for both music and film. It has 500 watts of dynamic, high-quality surround sound, with five speakers and one subwoofer. With this bad boy, you will feel like you’re in a high-priced cinema, in the comfort of your own home. You can fully immerse yourself in the action since you get a pair of Active 3D glasses that allow you to watch any 3D content you want (provided you have a 3D TV). Furthermore, because of its Smart Blu-ray feature, you can access all your favorite websites, apps and games (as long as you are connected to the internet). Another great feature is the Dolby True HD audio system, which gives you enhanced bass sounds and very crisp and clear audio, right then and there, in your own home. You also get an assortment of Opera TV Apps that give you access to the news, weather, games, etc. The Leviton is a beautiful and stylish home theatre system that is as functional as it is gorgeous. Having a minimalist design, it is as much a part of your homes décor, as it is a part of its entertainment system. First, it has a 5 channel system that can be expanded to 6.1 and to 7, if that’s something you are into. It can also have optional AESS5 extra surround speakers. It also has 5 adjustable mounting brackets that help you place it wherever you want. Furthermore, it has a powerful 8-inch subwoofer (100 Watt), as well as an RCA input cable. Another amazing addition is that it has video magnetic shielding, meaning that you can place these speakers near your television set, without causing any problems and issues. 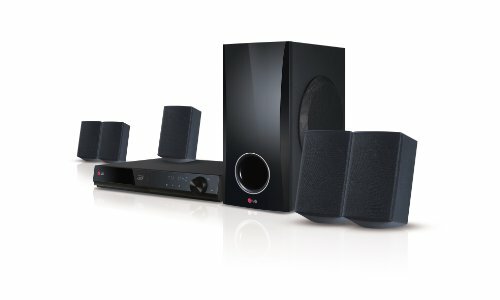 Versatile and classy, this system has everything you need to make your home theatre experience really unique. You will have hours of fun when using this system. The Yamaha Bluetooth is all about Bluetooth functionality (it’s right there in the name). You can effortlessly stream music with any Bluetooth compatible device, with amazing clarity. Not only that, but its compressed music Enhancer gives you clear and crisp sound, every time. Furthermore, the pass-through system is an amazing 4K ultra HD (with HDCP 2.2 support), so you no worries about subpar sound and video here. Furthermore, you have YPAO sound optimization that really helps you automatically set up the speakers. This means that even if you’re not particularly tech-savvy, you will still have an easy time setting up the whole system on your own. Because of its low-range enhancement features, you will get rich and full bass even from the small speakers. And this is enhanced even more when you take into account the powerful bass subwoofer, improving the volume and immersion of the whole system. This is a very unique and special system. 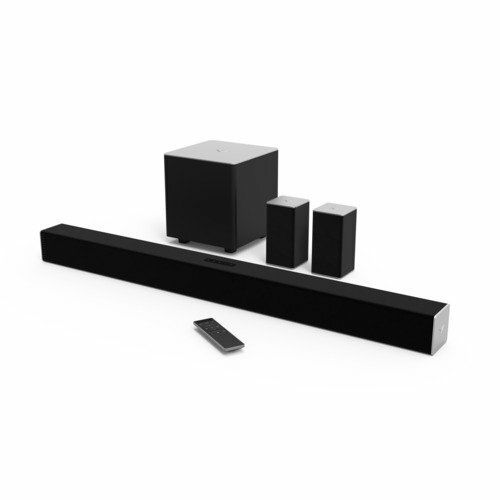 It has 5.1 channel surround sound with an amazing 38-inch soundbar that has left, right and center channels. Not only that, but its wireless subwoofer is really a force of nature. Its rear satellite speakers really give you that immersive, engrossing feeling that puts your right in the center of the action. Its audio performance is difficult to match in this price range. You get 100 dB of clear and rich sound that will fill up the entire room. Furthermore, the manufacturer guarantees that you will have less than 1 percent of total harmonic distortion, so even the most stringent of audiophiles will be happy. It also comes with a Built-in Bluetooth system that makes wires almost obsolete. With a simple tap of your finger, you will be able to access this system with a phone, tablet or whatever else you want (as long as its Bluetooth functional). It has integrated Dolby Digital sound, a standard for cinema, broadcasts, and streaming. 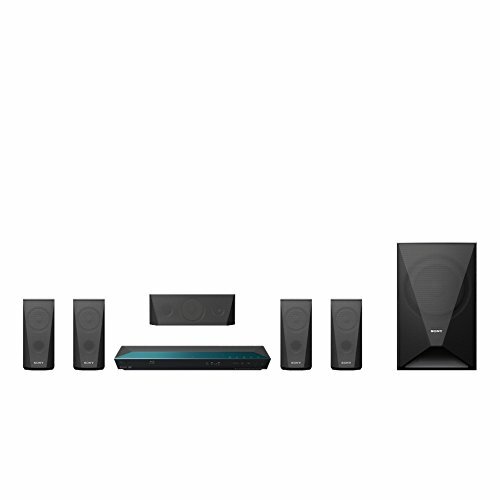 This Samsung home theatre has 1000 watts of wonderful and immersive sound. You can connect it to your TV with one, single HDMI cable, giving you quality digital audio whenever you want. Once you start watching movies and TV shows on this bad boy, you will be shocked how you ever survived without it. Another great feature is that you have an included 3D Blu-ray player that will allow you to watch all your favorite movies and shows with amazing sound quality. Not only that, but it can upconvert any kind of non-HD media content (DVD’s, for example) into something very near true HD quality. It will help you enjoy any and all old movies and TV shows like you have never before. You also have access to over a hundred Opera apps in its TV store. This can easily and quickly turn your regular old TV into a Smart TV, giving you amazing functionality and options. Anything from streaming TV shows and movies, to getting the news and weather information, and even games, can be yours with just a click of a button. 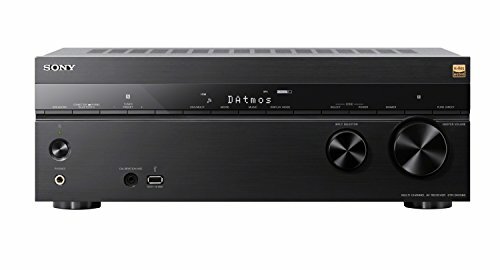 The Onkyo HT-S5800 has Dolby Atmos functionality, meaning it can support up to 5.1.2. channels. You will get 115 Watts for every channel, each with Wide Range Amplifier Technology (WRAT), as well as H.C.P.S. transformer functionality (high current power supply). It has 4K/60 Hz capable HDMI Terminals that gives you amazing and vibrant colors, for all your Ultra HD entertainment. Its front speakers have two-way bass reflex features, with great range drivers and dome-tweeters that will give you energetic and very accurate sound. The tops of the cabinets will give you 3 ¼ inch cones that are each separately powered by the receiver’s height channels. Another great feature is the very powerful 120W subwoofer that has an amazing 10-inch cone that will transfer powerful and clear sound all across even the largest of living rooms. Another amazing point is that it’s very easy to set up. You will see, on the back panel, a diagram that will make connecting everything clear and simple. 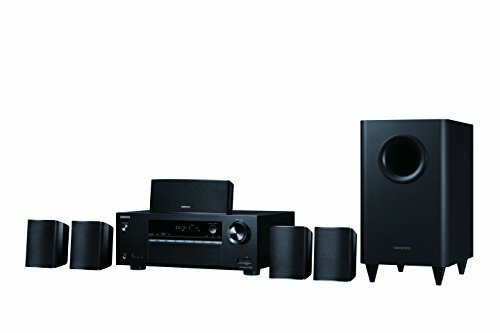 Another excellent Onkyo model on the list, you definitely won’t go wrong choosing this home theatre system. 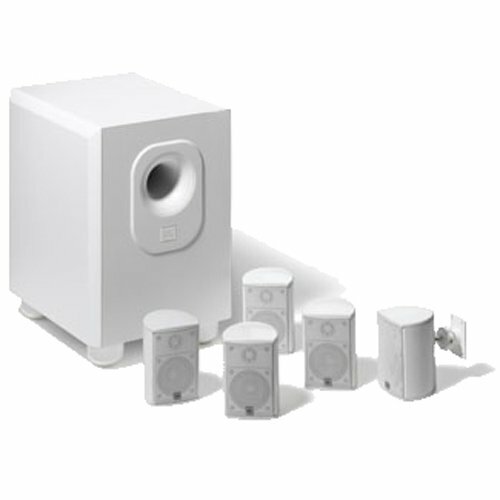 You get 6 speakers that are perfect for smaller rooms and areas. They are very compact and stylish, and when they are properly set up, you won’t even notice that they are there. With two front and surround speakers, one center, and one subwoofer, you will like your placed directly into the world of the TV show or movie you are watching. Heck, you can even play some live music form a concert, and it will be like your right there. Another nice feature is that it has clear and easy-to-access USB input, meaning you can simply place a USB flash drive with anything you want to watch or listen to. Furthermore, with the high-quality conversion system and its selection of DSP programs, you will have an enhanced experienced, since it will clear up most of the audio imperfections that you usually happen during conversion processes. We hope this has been helpful. All of these products are of a very high quality, and even though they differ in their features (and price), you will certainly not go wrong, no matter whichever one you choose. We truly believe that you will find one that suits your needs completely. So, make choice, sit back, relax and enjoy some HD audio. Disclaimer: All the products reviewed here are the educated guess or prediction for actual Black Friday 2018 (24th November). Price and discount are shown here through API and the vendor may chagne the price anytime. We’ll keep our eyes on the items and update accordingly to provide best Home Theater Deals.